Social selling is a fairly new concept, but an important one nonetheless. Businesses that implement it have a shorter sales cycle, more effective marketing and a more efficient prospecting phase. 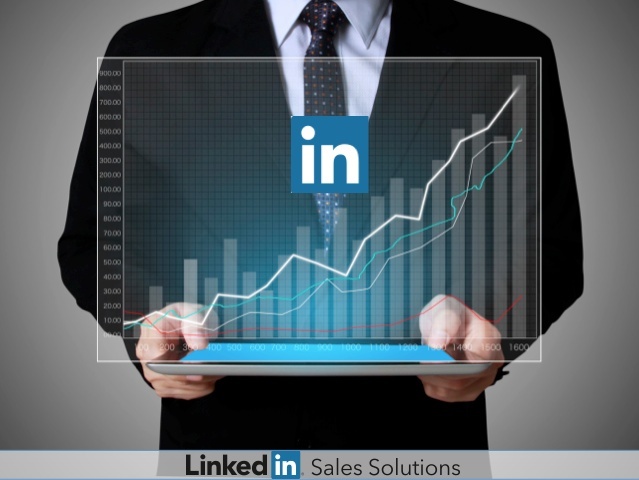 LinkedIn is the leader in this type of selling and offers businesses several tools that work to streamline sales and marketing processes. In B2B organizations, these processes can become quite complicated. Below are three ways social selling is helping B2B organizations increase their revenue and improve their marketing strategies. According to the Software and Information Industry Association, the first secret to successful B2B sales and marketing is to identify the right person, find relevant information about them and connect with them through someone they know and respect. To seal the deal, you have to know who to contact. Prospecting is the first step to making a sale and the most important stage of the sales process. If anything goes wrong in the prospecting phase, the company could lose its leading edge and, worst of all, appear to be cold calling. LinkedIn offers a welcome addition to the prospecting phase by enabling sales professionals to search for prospects by location and title. The LinkedIn platform offers over 330 million members to search through, enabling an ideal networking experience for B2B companies. Outbound marketing targets everyone, but the 'focus' of this marketing is to draw in people who want the product or service. Since there's no way to tell whether outbound marketing is reaching the right buyers, its success cannot be calculated accurately. LinkedIn solves this issue by offering the opportunity for sales professionals to become Social Citizens. With this option, sales professionals can answer questions that highlight the solutions they're offering. Converse Digital states that one of the best ways to drive revenue through social selling is to be the one with all of the answers. Most businesses are familiar with the sales funnel. This model helps businesses leverage leads and qualify them before pushing them through to sales for contact. The problem with this model is all the time it takes to qualify leads before they're either passed through the funnel or kicked out of it. In a B2B sales cycle, this can take months. Social selling improves lead quality, which minimizes the time it takes to move leads through the sales funnel. From here, businesses can modify their sales strategy to improve the odds of a quicker sell. These three benefits highlight the significant opportunities social selling presents to both buyers and sellers. B2B organizations using this type of selling benefit from lower marketing and sales costs and more revenue. Buyers who use social media platforms to search for sellers find better quality sellers quicker. Social selling continues to be more effective than telemarketing, less costly than using other social media strategies and less time-consuming than traditional sales techniques.